Freeda Pool, 90, of Southside, went to be with the Lord on Wednesday, June 27, 2018. She was born December 4, 1927 to the late John W. and Mary Addie (Nixon) Matlock in Bethesda, AR. 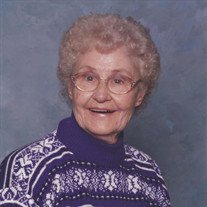 Freeda lived in Batesville all her life and enjoyed spending time with family and friends. She was a faithful Christian and a member of Southside Assembly of God Church. She was preceded in death by her parents, her husband Ernest Lee Pool, one son Danny Pool and her sister Inez Pinckard. She is survived by one son, Robert Pool (Becky), one grandson, Jeff Goss (Kristina) two great grandsons, Jacob and Fredrick Goss, all of Southside. Visitation will be Friday, June 29th from 6-8 PM at the Willis Funeral Service Chapel. Funeral service will be Saturday, June 30th at 10 AM at the Willis Funeral Service Chapel. Burial will follow at the Egner Cemetery in Salado under the direction of Willis Funeral Service.